There are so many ways to get involved with CAFOD! Take a look at our resources to help you take action on renewable energy and the refugee crisis. 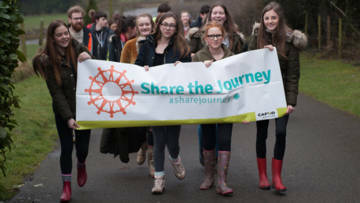 Join the Share the Journey walk for refugees this summer. Resources to explain the issues of fair and unfair trade. Our most popular films to use in schools or groups.